Thanks to its diverse seasons and fertile lands, every corner of our country is home to many delicious flavors. The Aegean region is also a part of this with the Aegean dishes having an exclusive place both in national and international cuisines. And the first thing that comes to mind when one says Aegean is İzmir, one of the biggest cities in our country. So, which exquisite flavors can you try when you visit İzmir, the pearl of the Aegean? Here are the 9 foods that you must try when in the Aegean region! 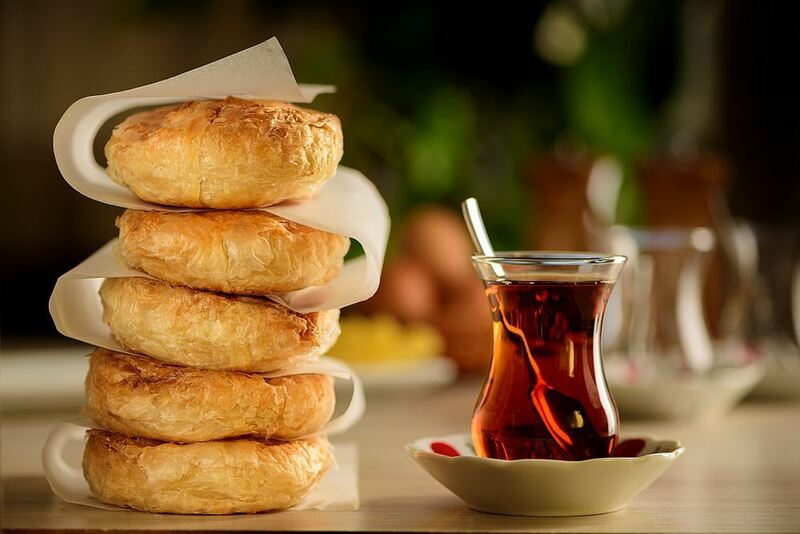 As the most famous delicacy of İzmir, boyoz is a kind of pastry generally eaten at breakfast. Boyoz is usually eaten with boiled eggs. If you wish to experience a typical İzmir breakfast during your visit, you can enjoy a breakfast more wonderful than you expected with boyoz, eggs and tea. Another top delicacy of İzmir is kumru. 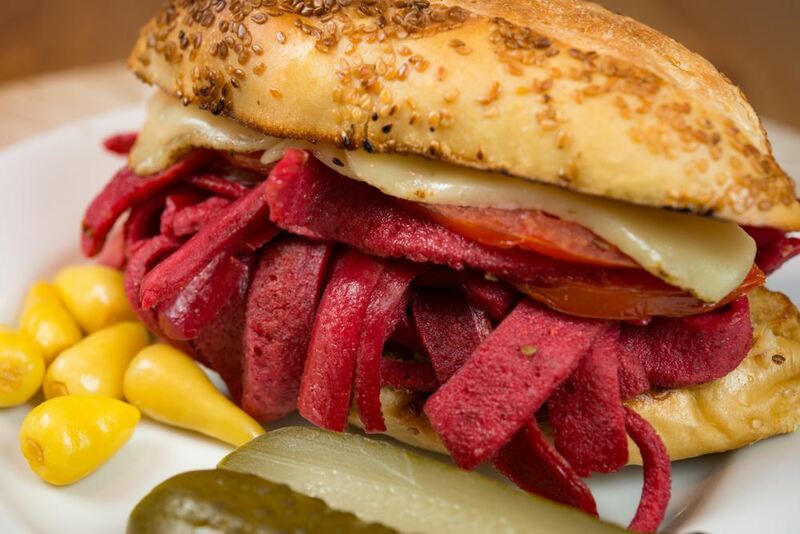 Kumru, literally translates as “collared dove”, is a sandwich and takes its name from the shape of the bread used to prepare it. It contains sausages, salami, kashar cheese, tomatoes, peppers, tulum cheese, mayonnaise and ketchup. Kumru buns are prepared fresh every day at bakeries and can also be eaten without any ingredients. 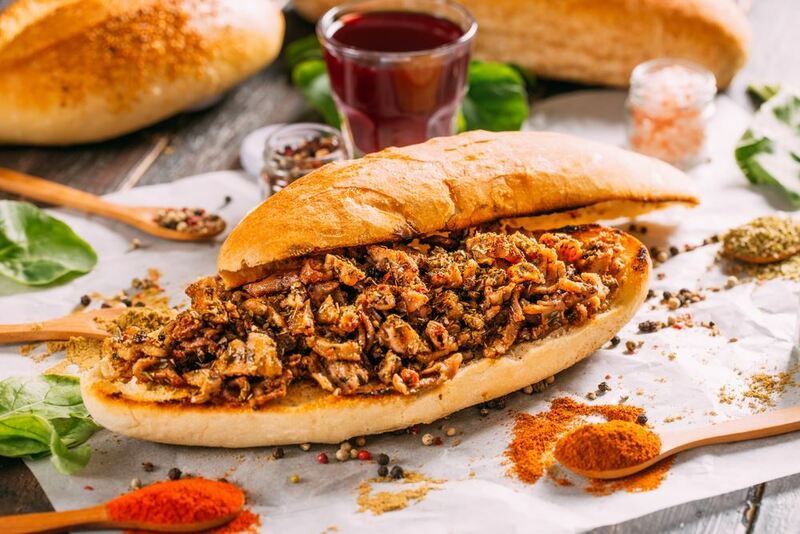 Bomb, which has recently increased in popularity thanks to social media, is another delicious flavor originated from İzmir. Bringing chocolate and dough together in a perfect harmony, this dessert is a favorite among chocolate addicts. Bomb may look like a cookie but is much more than a cookie and, of course, its most delicious version can only be found in İzmir. If you are crazy about kokoreç, you shouldn’t fail to eat one in İzmir’s perfect kokoreç shops. What makes kokoreç special in İzmir is thought to be cumin. Also, it is made of spring lamb with the addition of various spices. Long story short, the first thing you should do as a kokoreç fan is to try one in İzmir to see the difference for yourself. 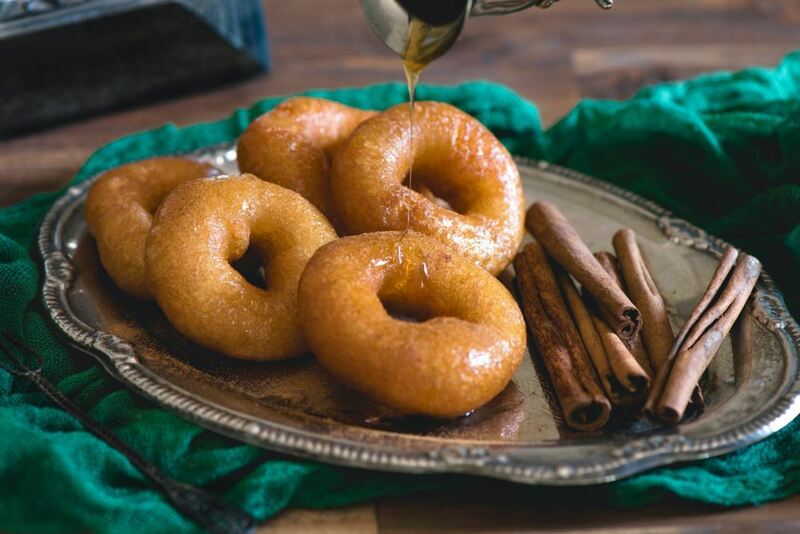 Lokma, the king of desserts with syrup, also originates from İzmir. This dessert is made of dough, deep fried and soaked in plenty of syrup. You can find a shop which sells İzmir lokma at every corner of Turkey; however, this dessert should be tried in its hometown. 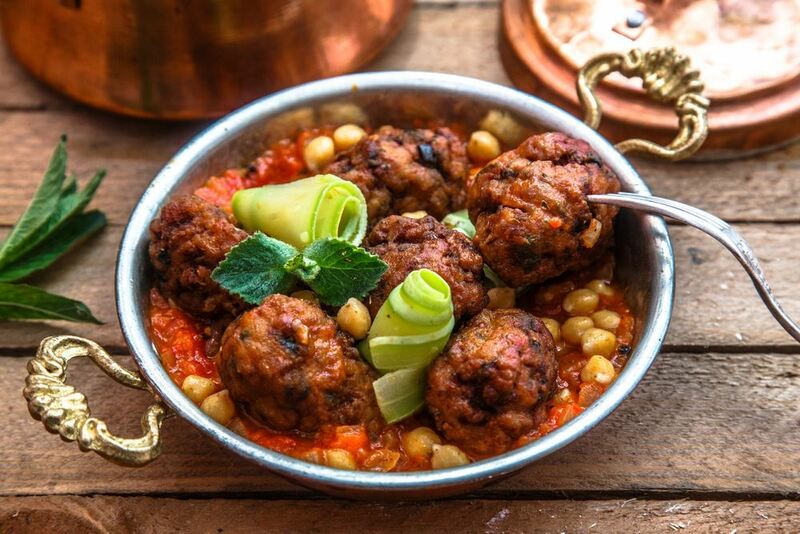 İzmir meatballs are prepared with minced meat blended with spices and fried in oil. And then a dressing which is unique to the region is poured on the top. Finally the meatballs with the dressing on are put in the oven and served warm. Known to be originally from Niğde, this meat dish later started to be associated with İzmir. Therefore, it is one of the dishes that you must try when in İzmir. Söğüş can be eaten both before and after meals. So, we definitely recommended you to try this unique delicacy which will change your perspective of wraps. One of the famous desserts of İzmir, Şambali is widely sold at street corners and street vendors in İzmir. Don’t fail to try this delicious dessert especially if you ever go to Kemeraltı in İzmir. Şambali is a firmer and more intense dessert than revani, another favorite Turkish delicacy. Its main ingredients are semolina, sugar and yogurt or milk. Another irreplaceable element on İzmir’s breakfast tables is pişi. This food is eaten at breakfast in many regions of our country, and is originally from İzmir. However, in İzmir, there is another flavor that makes pişi special: İzmir’s tulum cheese, for sure! So, when having your breakfast in İzmir, remember to ask the waiter for some tulum cheese with pişi.